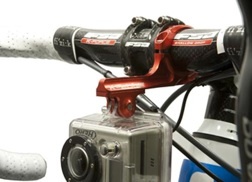 Finally a no compromise solution to GoPro Camera mounts and Garmin GPS mounts. 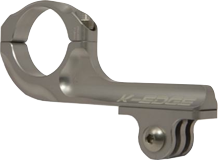 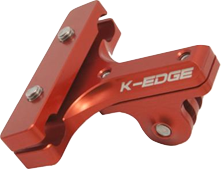 These beautifully crafted K-Edge aluminum mounts are a leap ahead of the plastic mounts supplied by both GoPro and Garmin. 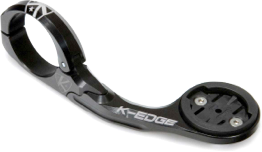 The mounts are CNC machined aluminum providing maximum rigidity so no more jittery video shoots with your GoPro. 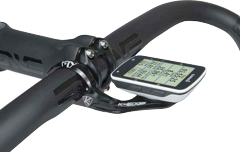 With the Garmin mount, it provides a much better viewing position and more adjustability than currently available from Garmin. 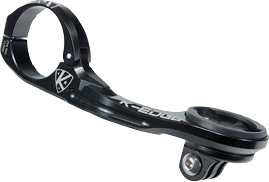 These mounts easily install using an allen key, and securely lock in place your Garmin Edge GPS, GoPro / Garmin VIRB / Shimano Camera. 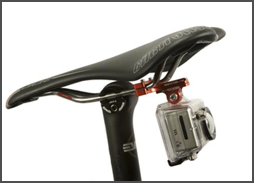 There are no plastic parts so you can count on these bullet-proof mounts to protect your expensive investment even on the roughest terrain. 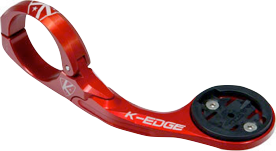 Contact us today and see the difference.